Dahna Goldstein is a Bretton Woods II fellow at New America. She is a social entrepreneur and advisor to social impact organizations. Goldstein was the founder and CEO of PhilanTech, which created PhilanTrack, an online grants management software solution designed to reduce the transaction costs of grants administration to redirect grant dollars to program and service delivery to achieve greater social impact. When PhilanTech was acquired by Altum in 2014, Goldstein served as director of philanthropy solutions at Altum. Prior to starting PhilanTech, Goldstein worked for venture philanthropies, including Ashoka and Blue Ridge Foundation New York, and produced interactive eLearning programs for Global Education Network and Harvard Business School Publishing, including the award-winning “What Is a Leader?” program. 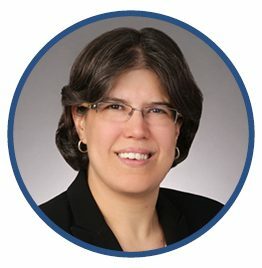 A graduate of Williams College, Goldstein also holds a master of education degree, with a concentration in technology, from Harvard University, and an MBA from NYU Stern School of Business. She has written extensively about the nonprofit sector, including a chapter on managing change for technology in “Managing Technology to Meet Your Mission: A Strategic Guide for Nonprofit Leaders” (Wiley 2009). Goldstein teaches technology entrepreneurship at Georgetown University. She serves on nonprofit boards, including JustGive.org and ParentsTogether Action.